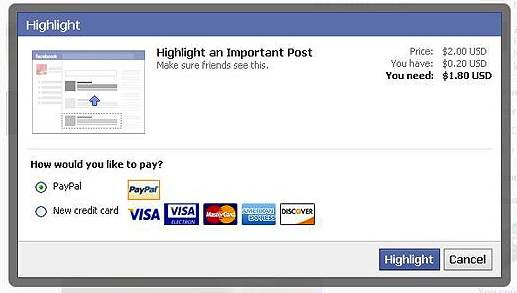 As reported by TechCrunch, Facebook is tinkering with a new feature called “Highlight” that allows you to pay actual money to make sure that more of your friends see your status update. While I’m not shocked to see any company, especially Facebook, testing anything to bring in a stream of revenue, I’m concerned that this is just another example of the company pushing the social envelope simply “because they can”. That’s the moment where I knew that Facebook was heading down a direction that it probably shouldn’t. The company has this way of explaining any feature with “real world examples”. The fact of the matter is that some of the social discourse that people participate in on Facebook isn’t real at all. Some of it appears to be manufactured and cyclical to the point where it basically becomes a game. Let’s take a step back and look at the example of “I’m moving to New York, come say goodbye tonight”. I’m going to ignore the kidney example because it’s a bit ridiculous and over the top in my opinion, and there are very capable organizations to assist with that. At some point in society, quantity overtook quality when it comes to personal relationships. I personally feel like that’s a detrimental trend, even though I participated in it at one point. Don’t get me wrong, Facebook has many tools that keeps me closer to people that I care about, it’s just the tools like this that are aimed at artificially bringing me closer to people that bother me. 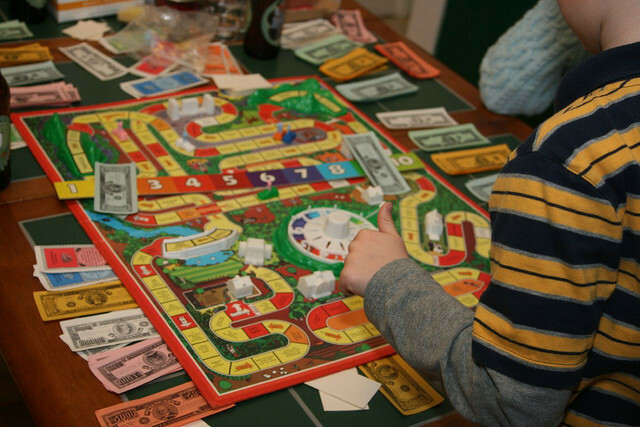 When you’re talking about throwing down actual dollars, the “game” changes completely. We all know that advertising on the Web doesn’t work as well as has in the past, and that’s for a reason: when things are artificial they have less impact. This Highlight feature is artificial and will have less impact, although it will reach more people. That’s advertising, folks. Companies pay millions of dollars to “advertise” to millions of people in hopes that thousands respond. I don’t want to see our personal relationships turn into a poke-and-pray game with money behind it. I’d rather spend more time connecting to people on a very personal level and start pushing the noise aside. Maybe that’s because I’m getting older, and hey, what do I know. Do I blame Facebook for trying something new out? Absolutely not. I do however know for a fact that since over 900M people use the service, it’s very easy to use that influence to direct people in whichever way Facebook sees fit. He has a point, but paying for signals is way different than paying for friends in my opinion. Let’s hope this thing never sees the light of day. If it does, then Facebook just gave me more noise to filter through without proper tools to do it. Path is looking better and better every day. What do you think about it? Tell us in the comments!